Introducing the all new HERO™ sensor. Extreme performance and 10x improvement in power efficiency. 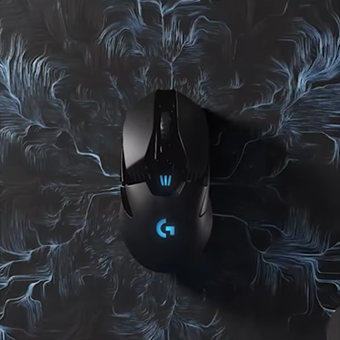 This is the future of gaming mice. HERO, or High Efficiency Rated Optical, sensor is a feat of engineering 3 years in the making. This revolutionary new sensor is designed for unrivaled performance while also, amazingly, achieving 10 times the power efficiency. HERO is a true breakthrough in performance-to-power ratios, bringing forth a new generation of high-performance and long-lasting wireless gaming mice. HERO delivers accuracy at velocities over 400 IPS across the full DPI range—from 200-12,000—with zero smoothing, acceleration or filtering. HERO sensor gives players unsurpassed responsiveness, precision and power efficiency. Equipped with HERO, G603 is capable of delivering an unprecedented 1,400 hours of run-to-die battery life1. 1 Based on Bluetooth® connection. May vary based on testing conditions. Informed by over a decade of experience, our engineers invented a next-generation optics system to maximize the accuracy and energy efficiency of HERO. A perfectly positioned IR LED drives illumination through an innovative dual lens, so HERO sensor can more accurately detect, capture and correlate pixel-precise motion. Even the outer cover is carefully molded to provide the right amount of light and focus to the lens. Each component was subject to countless hours of engineering and testing to ensure optimal contribution to sensor and gaming performance. HERO pushes past the constraint of existing sensors to set the new benchmark for performance and efficiency, effectively revolutionizing wireless gaming mice. Play advanced. Play without limits with Logitech G.
Play without wires. Play without limits.